Gabon Establishes 13 National Parks: "Save the Congo" Contributions From GIS Users a Huge Help! GIS Day 2002: A Global Success Story! 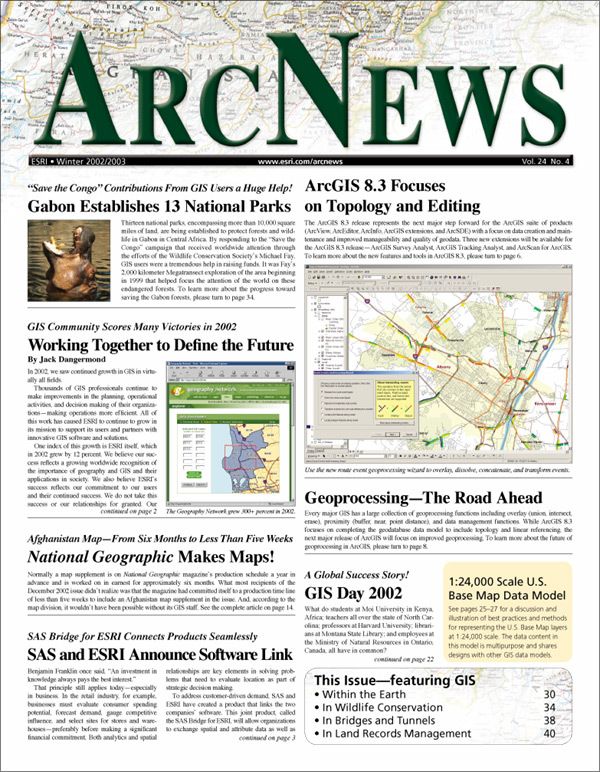 Expanded ArcNews Content Now Online: More Stories Than Ever at ArcNews Online!